Seat Open: 14" x 14" x 14"
Closed: 14" x 4" x 4"
This radical new design is ideal for anyone who needs to sit down from time to time, and wants to have an easily carried stool under their arm. This stool excels at being portable because of its small size and weight, but is surprisingly strong and durable. Its telescoping/locking legs cut its length in half for carrying. Now you can take a walk, attend an outdoor event, or go to a shopping mall, airport, or bus station, and not have to worry about finding a place to sit down. 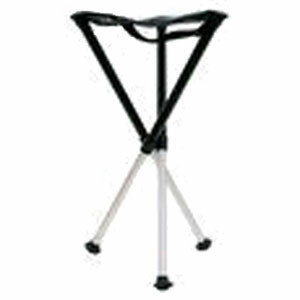 Not much bigger or heavier than a folding umbrella, the Walkstool will open up some possible activities to you that previously were risky or impossible due to lack of available seating. 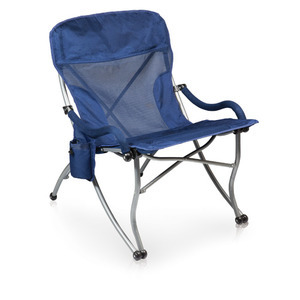 You can carry this chair for emergency seating in all kinds of situations. 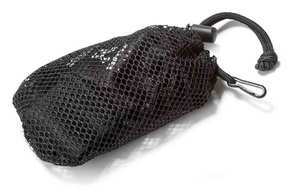 Draw-string carry bag included. 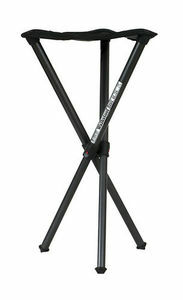 Don't confuse this with other tripod chairs. Boasting weight limits of 300 lbs or more. This is the authentic Swedish made Walkstool. Important Note: Be careful when sitting on the Walkstool on uneven ground. Avoid putting all pressure on one or two lower legs. 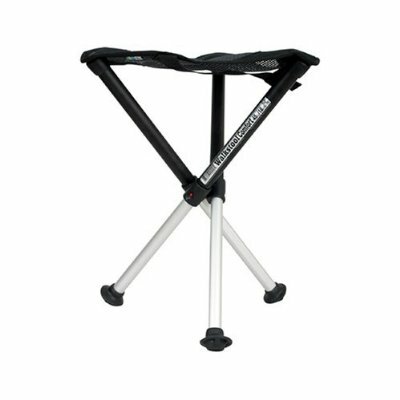 Improper use of the Walkstool can result in bodily injury or harm. Always check the Walkstool before using it to make sure that the red button is in the proper locked position. 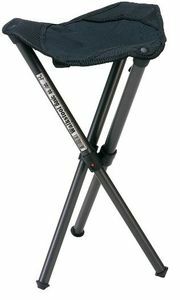 User assumes all responsibility for use and operation of the Walkstool.